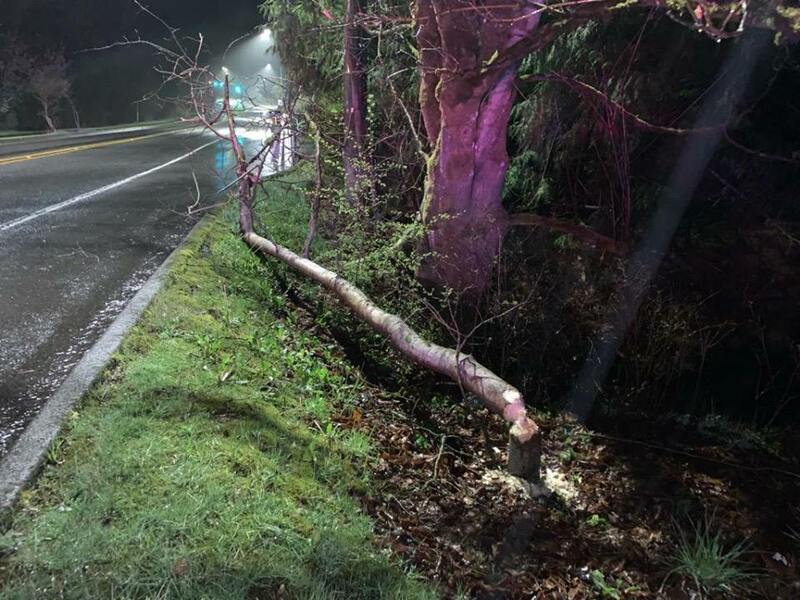 Lake Forest Park Police are looking for the suspect who took down this tree overnight and partially blocked Ballinger Way. An eyewitness described the culprit as having thick dark brown hair, large buck teeth and a flat tail. We are quite sure he/she did not have a permit to cut this tree. If you see him / her - keep your distance. Beavers running amok in LFP!